My matcha guide is here! I am excited to bring you guys this PDF guide, based on one of my favorite healthy habits: matcha green tea. 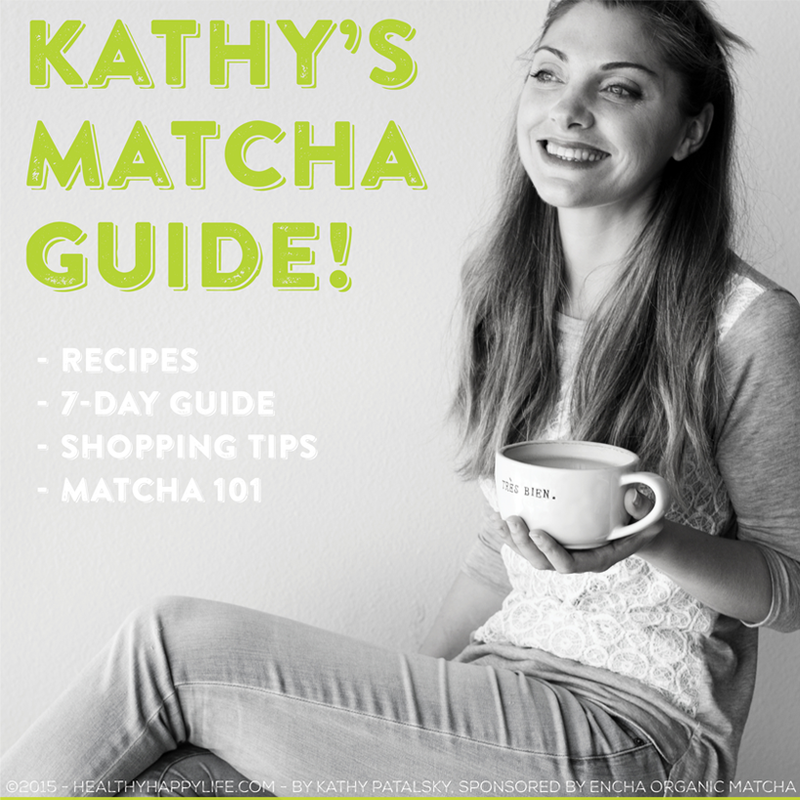 Kathy's Matcha Guide is a 28-page free downloadable PDF booklet on everything you ever wanted to know about matcha green tea - and more. 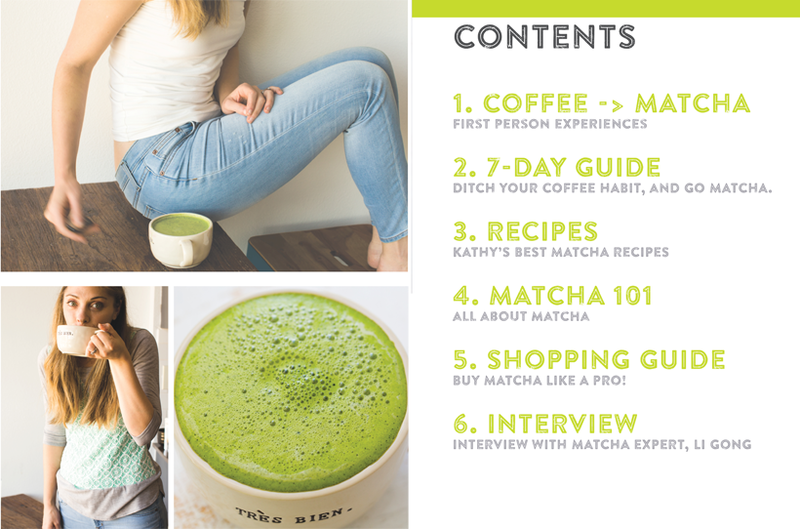 Ahead, download the guide, learn more about my coffee -> matcha story and preview some of the content..
* A few of my favorite matcha recipes - hot and cold recipes, plus a dessert! * 7-day "Go Matcha" Guide - transition from coffee to matcha. Start a matcha habit! 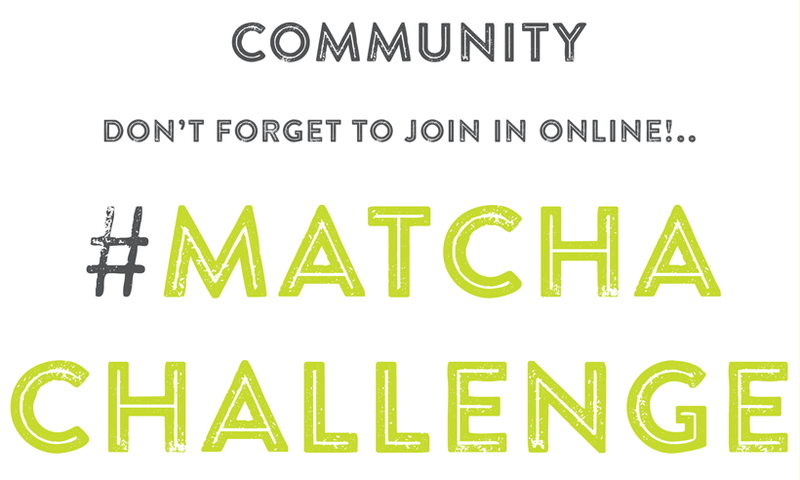 * Shopping Tips - shop for matcha like a pro! Then check out my matcha brand reviews to shop online. * Matcha 101 - everything about matcha. * My coffee -> matcha story - how I transitioned away from my unhealthy coffee habit. * Interview with a matcha expert. I am such a fan of matcha green tea, as many of you already know. So this guide is my way to share everything I have learned about matcha with you guys. I have been studying matcha for a few years now - ever since my big matcha brand review on my blog..
Coffee Lover? If you are worried that I am suggesting that you quit coffee 100% in order to embrace matcha, don't worry! 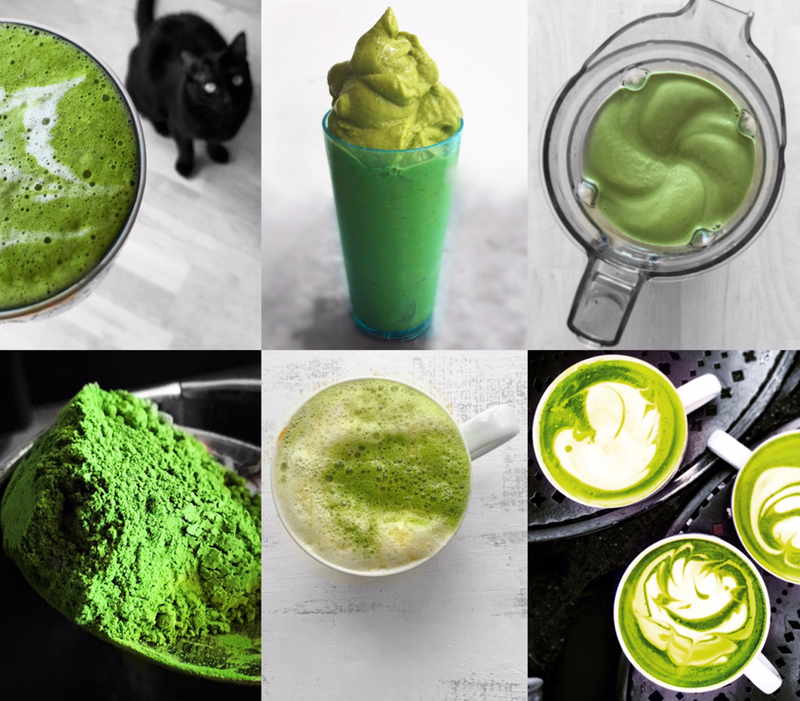 There are so many ways to embrace matcha. You can alternate between coffee and matcha, have coffee once a week or less (like me) or you can quit coffee completely and replace it with matcha green tea. Or at the very least, add 1-2 matcha lattes to your week and see how you feel! Give those green tea antioxidants and a Zenergized mood a try. Coffee As a Treat. As for me, I still drink espresso beverages because I love the flavor and aroma of coffee. My frequency of a soy or almond espresso latte is about once every 1-2 weeks. But the best part now is that coffee is a treat, rather than an addiction. I enjoy my coffee beverages so much more now, and never feel like I "need" them. I drink them because I enjoy the flavor, cultural experience and beauty of them. And my body actually seems to react much better to coffee when I have it just once in a while as opposed to every day. ..So, what did I do? Did I give in to the allure of downing several espresso latte beverages each day? Nope. Instead of guzzling coffee every chance I had, like I would have done five years ago, I actually chose to order herbal teas with lemon, peppermint or a few chai lattes. Or I reached for water, fresh juices, coconut water, fresh fruit, soups or other hydrating beverages and foods that I knew would nourish my wellness. Most of the time, when matcha was not an option, I actually chose to skip coffee. I can thank my matcha habit for allowing me to feel like I was in control over my caffeine intake. And feeling like I actually didn't need it to function. 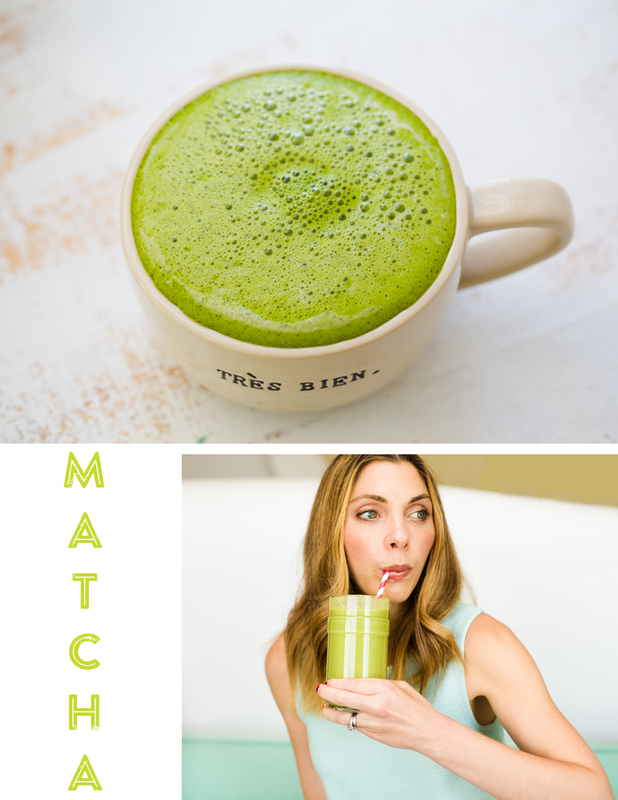 So if you want to learn more about matcha and check out the coffee -> matcha challenge in the PDF, download my free matcha guide today! Encha Organic Matcha Ambassador. I was so happy to collaborate with Encha Organic Matcha on this guide. All the content was written by me, with some expert tips and information about matcha provided by Encha's founder Li Gong. He is a wealth of information about matcha and I was lucky to have him as a resource for this guide. Encha is one of my "top pick" matcha brands, more are listed in the guide. I am loving the opportunity to work with them as a matcha ambassador. Working with my favorite brands is my goal for my blog, so what a thrill to be able to do that here. A mini sneak peek look at some the booklet content!.. 1. Zen-ergy. Most matcha drinkers find that matcha gives them a unique “Zen-energized” feeling that lasts for hours. Zenergy can be described as a calm and focused mood and mind - combined with an alert and energized physical state. ..more reasons in the guide. * What are some of the possible benefits of regular consumption of matcha? * Why should consumers choose organic matcha? 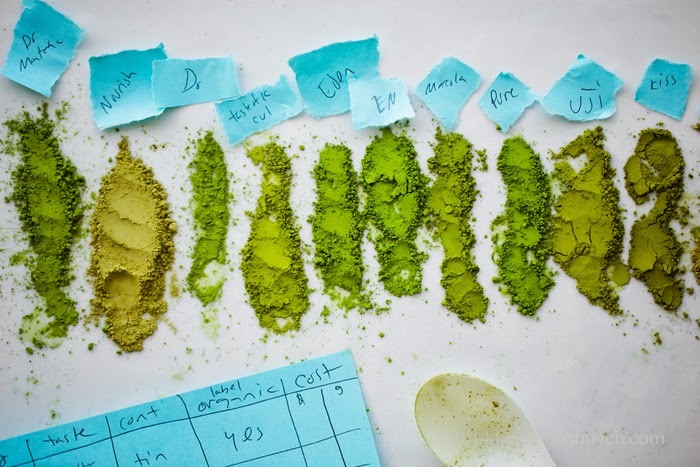 * Why does quality vary so greatly among matcha brands? My Matcha Shopping Guide gives you insider tips for choosing the best possible matcha for you. * Origin? I strictly only buy matcha from Japan. I do not buy matcha from China. disclosure: This guide is part of my 2015 Encha Organic Matcha Cultural Ambassadorship - all guide content is created by me, all opinions are my own. 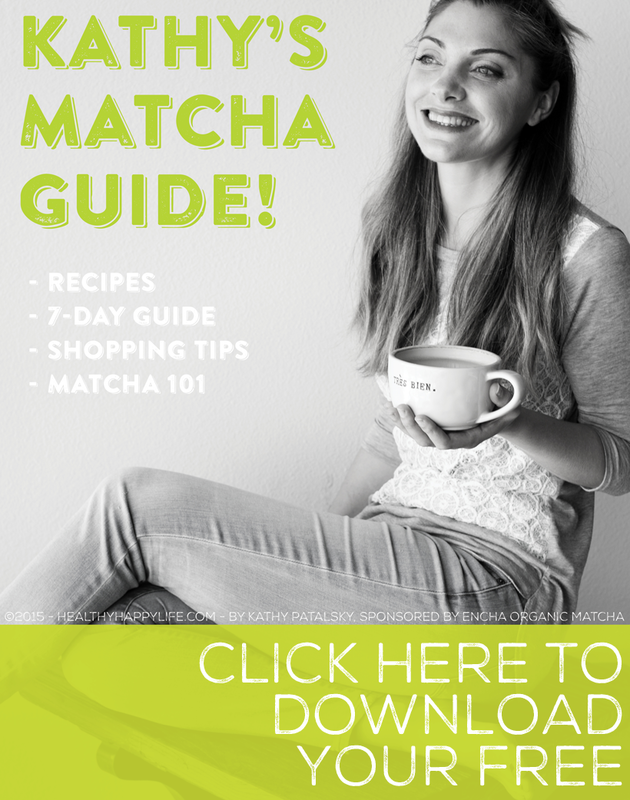 Thank you to Encha for making this matcha guide possible!